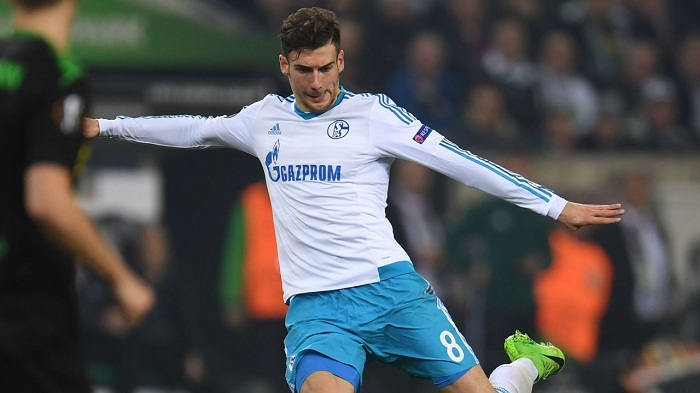 Schalke's chairman on Sunday threatened to banish Bayern Munich-bound midfielder Leon Goretzka to the stands for the rest of the season if he fails to perform for the Bundesliga club. The two sides confirmed on Friday that Goretzka, 22, will join Bayern next season on a free transfer after five years with Schalke. The Gelsenkirchen-based club say they did "everything possible" to keep the talented midfielder. Club chairman Clemens Toennies has said he will insist Goretzka be banished to the stands if he underperforms in his time left at the Royal Blues. "I hope he will play a second-half to the season of his life," Toennies told Sky Sports News. "However, if it is better for the team, then it could also be the case that Leon Goretzka sits until the end of the season in the stands." Schalke fans made their feelings known before Sunday's home match against Hanover 96 as Goretzka was jeered and booed after being named in the starting line-up. "Neither dosh nor titles are worth more than our club! If you do not appreciate that, you can piss off now!" read one banner on the terraces, while another stated: "1000 friends let down for emotionless titles and superficial flash Harries." Goretzka admitted the jeers and whistles had got to him. "When your own fans boo you, of course it hurts, but I can understand it and the main thing is that the reaction didn't affect the team," he said. The midfielder broke into the Germany squad when a young team minus their World Cup-winning stars lifted the Confederations Cup in Russia last July by beating Chile 1-0 in the final. He is poised to retain his Germany place for this summer's World Cup, but his chances of playing in Russia will be damaged if Toennies follows through with his extraordinary threat. "I am not declaring myself as his enemy, but we can't allow the goals of the club to be endangered," Toennies added. "Personally, I think it's too early. He should have stayed two more years and then gone as a big star," said Toennies. "It was his decision, we have to accept that and Schalke 04 won't go under because of it."